Buddhist meditation techniques offer a way of encouraging and developing positive states of mind, such as calmness, clarity, emotional positivity and a deeper seeing of the true nature of things. The main thing we learn when we mediate is that we have a choice about how we think and feel. Even though much is out of our control in life, we can always take responsibility for our own states of mind and choose to change them for the better. Meditation empowers us to make this choice. Over thousands of years Buddhist meditation techniques have developed to help people work with their minds, and the foundation of them all is the cultivation of a calm and positive state of mind. The meditation techniques we teach cultivate this calm and positive state of mind. They consist of two simple but effective practices drawn from the Buddhist tradition and originally taught by the Buddha himself. The pair complement each other and can be learned by anyone, and you don’t have to be a Buddhist to benefit from them! Central to meditation is the practice of mindfulness. When we are mindful, we are aware; we notice what is going on around us and inside us. Mindfulness is simply about being aware of our experience. To help us to cultivate this, we do the ‘Mindfulness of Breathing’ meditation practice. The simple discipline of concentration brings us back to the present moment and all the richness of experience that it contains. Central also to Buddhist meditation practice is the cultivation of ‘metta’, ‘friendliness’ or ‘loving-kindness’. It involves having an openness and emotional positivity for ourselves and other people. Loving-kindness is an emotion – a desire in our heart for the well-being of people. To cultivate loving-kindness is to develop positivity and warmth, to leave behind harmful emotions, and to connect with other people at a deeper level. Loving-kindness is powerfully transformative, and can change how we see and experience the world. To cultivate loving-kindness is to grow out of self-centredness and emotional negativity, and into being able to have harmonious and satisfying relationships with other people, as well as with ourselves. The ‘Metta Bhavana’, or ‘Development of Loving-Kindness’ meditation practice helps us to develop or cultivate loving-kindness. The practice starts with ourselves – overcoming feelings of low-self esteem or low self-worth, and instead befriending oneself with kindness and wishing oneself to be well and happy. We then develop loving-kindness for others, until we eventually include all beings, without discrimination, in our loving-kindness. The Development of Loving-Kindness meditation is a particularly good antidote for irritability, ill-will and hatred. It’s also good for relieving anxiety and stress. Ultimately, the Development of Loving-Kindness is a wisdom practice. Wisdom, from a Buddhist perspective, means seeing that other people are no different from ourselves, in that they too want happiness and fulfilment, just as we ourselves do. Developing loving-kindness can help us to see this for ourselves. Meditation is something that’s best learned from others and with others. When you come to the DBC, you are part of an active community of like-minded people, all exploring what meditation can offer, in an atmosphere of friendliness and warmth, so you can easily learn our Mindfulness and Loving-Kindness meditation practices. All our courses take place in our beautiful and custom-built city-centre location, just off Talbot Street, Dublin 1. 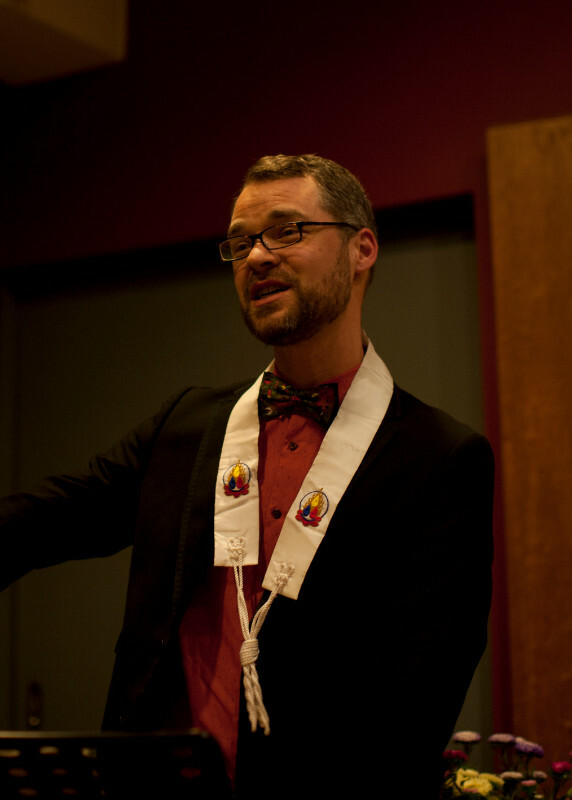 Our courses are practical and relevant, distilling the wisdom of the Buddhist meditation tradition into a form that’s easy to learn and at the same time profound in its application. Many people have found that learning meditation with us has changed their lives (see testimonials below), with the practices of mindfulness and loving-kindness having a deeply transformative effect on their minds and emotions. 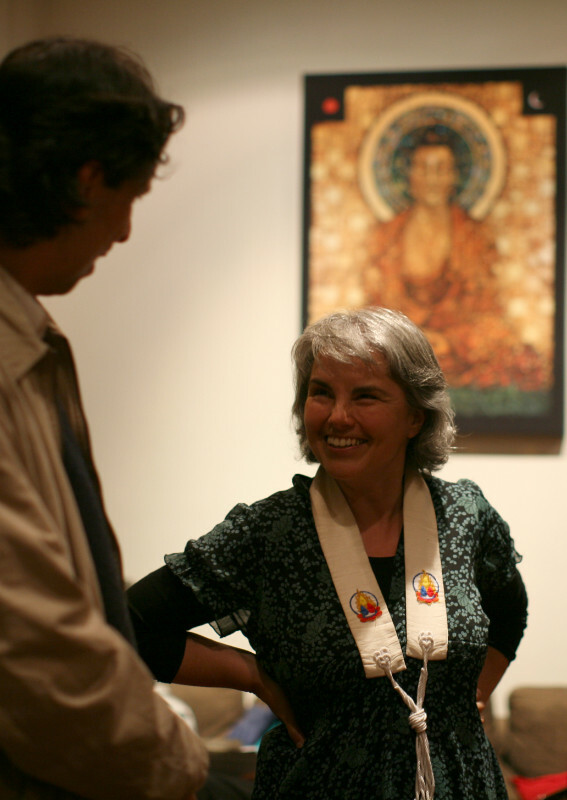 All our meditation teachers are ordained members of the Triratna Buddhist Order, men and women who are themselves living a life of meditation and Buddhist practice, and have been for many years. The DBC is a not-for-profit charity – our desire is to make the wealth of the Buddhist tradition available in a useful form that anyone can take up – regardless of whether they’re a Buddhist or not. The best way to learn meditation with us is to do one of our five week courses. 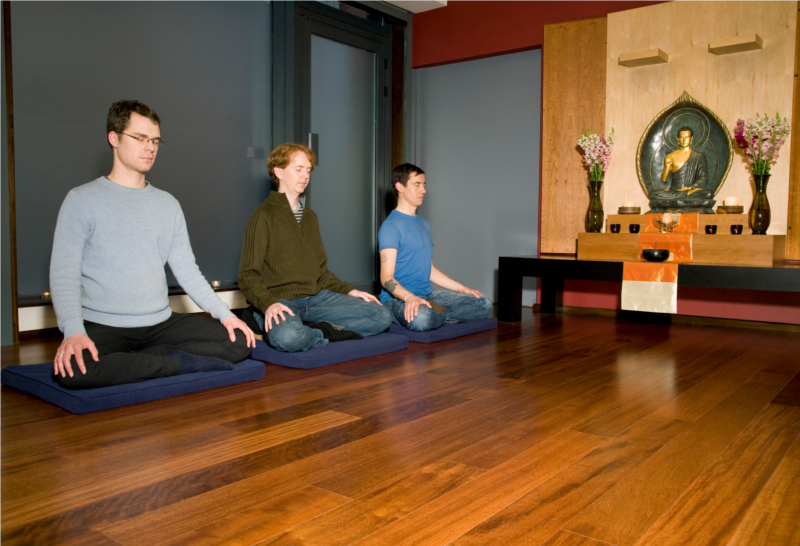 The aim of the course is to help you set up and maintain a meditation practice of your own at home. We’ll be asking you to set up your own practice at home from week one, and each week you’ll be able to come back to the course and discuss how things are going, checking in about your practice with our experienced teachers and others on the course with you. And you’ll have a host of resources available to support your practice, including detailed notes each week and audio downloads (or audio CDs if preferred) to guide you in your meditations. If you can’t commit to doing a five week course, you can also do one of our weekend day events. We run Introduction to Meditation Days, teaching both the Mindfulness of Breathing and the Development of Loving-Kindness meditation practice. Each day runs 10am – 4.30pm. We also run Yoga and Meditation Days, teaching both the Mindfulness of Breathing and the Development of Loving-Kindness meditation practices, as well as having two sessions of yoga. These are a great opportunity to see how meditation and yoga can go hand-in-hand with each other. Each day runs 10am – 5pm. Once you’ve completed a meditation course with us, a whole range of events are available to support you in your meditation practice, and to help you to explore how to take it deeper. For example, every week, we have a drop-in Sangha Night, where you can meditate with other people and have input on meditation and Buddhism. We also run Life with Full Attention mindfulness courses, residential retreats, morning and lunchtime sits Monday to Friday, and many more events for you to come along to. What do I need to bring to the meditation class? We supply all the equipment you will need. This mainly consists of meditation cushions and chairs. It is better to wear comfortable and non-restrictive clothing, for personal comfort. Apart from this, just give yourself plenty of time to arrive and relax, so that you can be in as rested a state of mind as possible for the class. Will the meditation course help me to relax? Meditation is a tool for positive change. It will help you to move from stressed, uncomfortable states of mind to more open, appreciative and calm states of mind. It will also help you to deal with situations which would normally lead to stress in a more creative and resourceful way. I’m a complete beginner. Is it difficult to learn to meditate? The introductory course is suitable for complete beginners who have never meditated before. Some people find it difficult, some find it easy, but all people who do it remark on its usefulness. The course aims to help you have your own regular practice at home, with enough skills to maintain your practice. Do I have to be interested in Buddhism to do the course? You do not have to be interested in Buddhism to do the course. Most people who attend are simply looking for a way to relax, de-stress, and reinvigorate their lives. Others learn to meditate as a means of personal development and growth. The main aim of meditation is to bring about positive change in people’s lives, and this is true regardless of personal beliefs. For those who are interested in Buddhism, the course is a good introduction to the Buddhist approach in working with the mind. You could also try the Buddhism Courses, and once the introductory meditation course is completed other courses and retreats on Buddhism are available. Does the course involve chanting or mantras? There are several different types of meditation available today in the West, many involving chanting or the use of mantras. However, we don’t use mantra or chanting in our classes. For instance, in the ‘Mindfulness of Breathing’, the object of meditation is the breath. This meditation involves sitting quietly observing the flow of the breath in and out of the body. The ‘Development of Loving-Kindness’ involves quietly cultivating feelings of warmth and friendless towards ourselves and others. Do I need to be able to sit cross-legged or in full-lotus posture to meditate? On the first night of the introductory meditation course we show all participants how to sit comfortably in a posture which suits their individual bodies. This may be cross-legged, but can also include sitting in a chair or on cushions. The main thing is that you are able to sit comfortably, upright and alert. If you’d like to do our meditation course you can do so on the following dates. See below for pricing information and more information about our courses. Included in this cost are full notes for the course and downloadable audio tracks (or a double audio CD if preferred) of guided meditations. clarity, emotional positivity and a calm seeing of the true nature of things. Our beginners meditation courses are a perfect way to learn how to meditate. They are accessible and practical courses, with the emphasis being on helping you to set up your own meditation practice at home. We teach two meditations practices – the Mindfulness of Breathing and the Development of Loving-Kindness. The Mindfulness of Breathing meditation practice involves using the breath to cultivate mindfulness, deepening our awareness of our present-moment experience in particular, allowing us to more fully appreciate the ourselves and the world around us. The Development of Loving-Kindness involves cultivating love, empathy and compassion for oneself and others, allowing us to live in an open-hearted and positive way, deeply connected with life around us. The two meditation techniques complement each other and can be learned by anyone, and you don’t have to be a Buddhist to benefit from them! And if you have done meditation before, these courses are an excellent way of deepening your practice of meditation. In particular, they provide a friendly context for discussion about your meditation practice, and the support of meditating with other like-minded people. 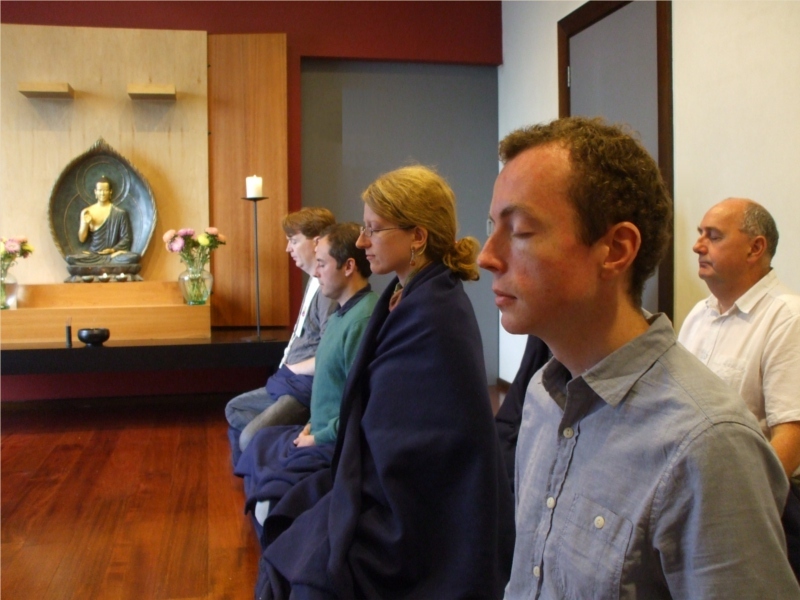 Why learn to meditate with the Dublin Buddhist Centre? Meditation is something that’s best learned from and shared with others. When you come to the DBC, you are part of an active community of like-minded people, all exploring what meditation can offer, in an atmosphere of friendliness and warmth. Many people have found that learning meditation with us has changed their lives (see some testimonials from course participants), with the practices of mindfulness and loving-kindness having a deeply transformative effect on their minds and emotions. Because of this experience, we can offer a meaningful and authentic introduction to the riches of the Buddhist meditative tradition. that anyone can take up – regardless of whether they’re a Buddhist or not. If you can’t make a five week course, we also run Introduction to Meditation Days and Yoga and Meditation Days throughout the year.